Mark is the regional manager for the Rodney area along with his small team of Crewcut operators. Mark has worked with Crewcut since 2009, his first three years on the North Shore before becoming the proud owner of the Rodney Master Franchise in 2012. 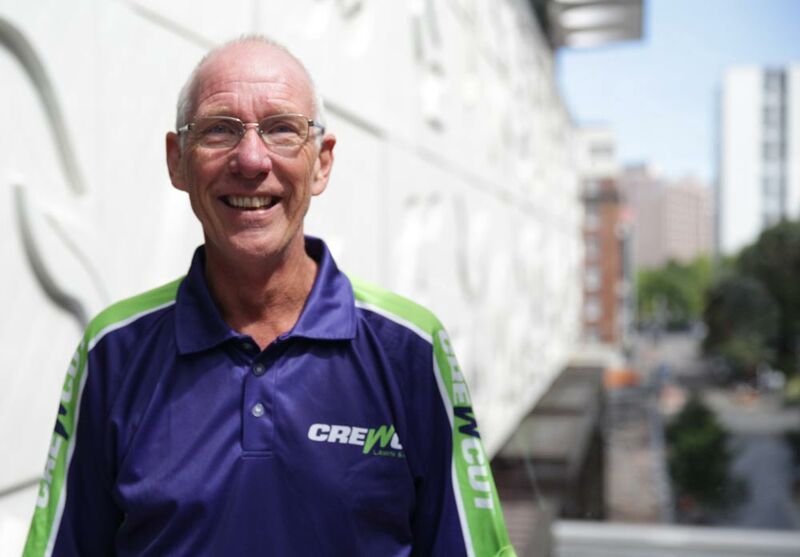 Mark says he was attracted to the franchise opportunity because Crewcut is a New Zealand owned company that fully trains and supports all its franchisees and offers a professional edge. Customer satisfaction is a priority for Mark, he’s the first point of contact for clients and is always happy to meet in person. Mark's Rodney Crewcut franchise is growing fast and he is looking for other potential franchisees to join the Crewcut team. Newcomers will be well-supported by the well-established and reputable Crewcut franchise system and the great team spirit. If you would like to find out more about joining our team as a Franchisee, it would be great to hear from you. We currently have opportunities for lawn mowing businesses in the Rodney region. Click the button below to find out more.